People often make assumptions when it comes to real estate agents, and they think agents are miracle workers, that can make you the best deals on the market. Since they are working for a commission, real estate agents try to offer you the best conditions and the price, but sometimes, not everything depends on them. Agents love working with people, but there are always some individuals that cross the line. But, if you want to understand how estate agents work and find out their protocol, then we are going to tell you a few simple rules. Really small percentage of agents work for pay because they have flexible working hours and fee is a much better option. 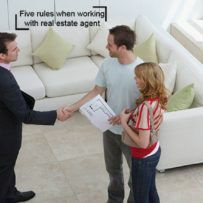 In fact, even people who hire real estate agents should be relieved that they work on commission. But, why is that? It’s simple if they don’t close a deal, they don’t get paid. You need to understand that agents aren’t public servants and they work costs. You shouldn’t hire him if you don’t intend to pay him. Real estate agents are people as well, so don’t expect him to ditch everything and come rushing at your call. Considering the real estate market, agents have a lot of work, and you are not his only client. Also, don’t make appointments with your realtor and then forget about them. Their time is programmed, and they have their day planned out. If you are running late, at least tell him and ask him if he can wait for you. It is rude and disrespectful when you don’t appreciate agent’s time, after all, he is there to help you sell or buy your property. These two are entirely different things, listing agent works for the seller and not for the buyer. For example, if you decide to hire a listing agent, such agent will not work for a dual agency. The listing of a real estate agent shows the property, and will expect to represent you. In this case, the listing agent doesn’t want to perform the job of buyer’s agent, so don’t combine these two. You have probably heard of buyer’s broker agreement; it regulates the relationship between client and agent and shows the agent’s duties. On the other hand, if you are not ready, or you are not sure whether you want to sign an agreement with your agent, then don’t ask him to show you the properties. Otherwise, a procuring clause may appear. Before you sign a contract, ask your agent whether he will release you if you are not satisfied with the service. If he says no, then find someone else. For example, don’t sign things and agreements you don’t understand, if necessary, consult with a lawyer. Also, make sure your agent knows your expectations and desires. Establishing a beneficial relationship with your agent is crucial. In this case, both parties will be satisfied. Real estate market is changing as we speak, but the price of luxury properties remains the same. 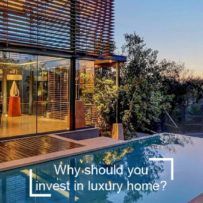 Not anyone has the money to buy a luxury property, but before you make this purchase, you need to define what is high – end for you. As the number of wealthy people grows the number of luxury properties becomes more significant than ever. If you want to step up your game and get in action, then here are some options you can explore. What is a high – end property? also crucial because wealthy people want to be close to high – end shopping, dining, arts and other luxury homes. High – end buyers desire privacy and security more than all; they want their home to be beautiful inside and out. So, when choosing a property, it is essential to think about the aspects that can’t be changed. For example, you can’t change the position of the sun, or the location of the ocean, or light paths for large airplanes. Based on the prices, you will need about half a million to own a luxury property. On the other hand, if you want to purchase a luxury property in some major city, you will need one million because the living costs are higher. For instance, if you ‘re going to invest in a luxury home in Las Vegas, you will need at least $3 million. In addition to this, wealthy people only pay with cash, while for others, a massive mortgage is another option. If you decide to buy a high – end property with the help of a mortgage, then you will need a large down payment, excellent credit, proof of income and massive cash reserves. When you decide to buy a luxury property, you will have more benefits than with any other investment. You need to find an excellent location, which can attract a lot of potential buyers and in this process, earn at least 5% of the actual value. Such places are in major cities, or they are tourist attractions. Keep in mind that foreign countries have different regulations and you don’t want to buy a house only to find out that government can take it back. This another option you can research because there are a lot of people who don’t want to live in a house. A luxury condo can also be a cheaper option for you, but even more beneficial, you can always decide to rent it or sell it. If an apartment has a great location, then you won’t have problems cashing in your investment.